Third time is the charm! Due to heavy rains, our bouncy houses and live music cannot participate today, so we are rescheduling the egg hunt- one more time! 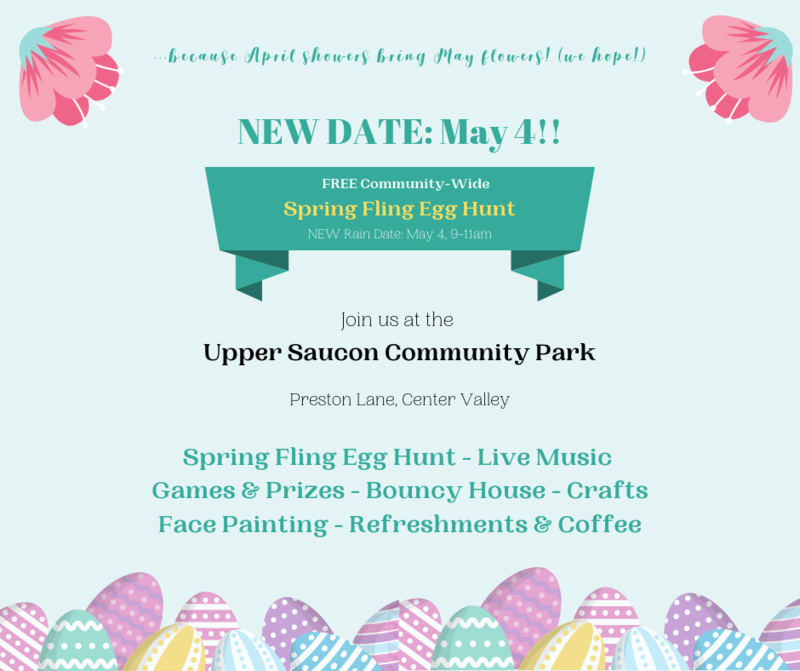 We will be hosting a Spring Fling Egg Hunt on May 4 from 9-11am at the Upper Saucon Community Park. If you already pre-registered, you will stay registered. We have 8,000 filled Easter eggs and we’d hate to see them go to waste! Come join us for our Spring Fling, and enjoy the bouncy houses, games, raffle prizes, food, coffee, crafts, and of course the main event- our egg hunt!